"Amazon: When an enigmatic monolith is found buried on the moon, scientists are amazed to discover that it"s at least 3 million years old. Even more amazing, after it"s unearthed the artifact releases a powerful signal aimed at Saturn. What sort of alarm has been triggered? To find out, a manned spacecraft, the Discovery, is sent to investigate. Its crew is highly trained--the best--and they are assisted by a self-aware computer, the ultra-capable HAL 9000. But HAL"s programming has been patterned after the human mind a little too well. He is capable of guilt, neurosis, even murder, and he controls every single one of Discovery"s components. The crew must overthrow this digital psychotic if they hope to make their rendezvous with the entities that are responsible not just for the monolith, but maybe even for human civilization. 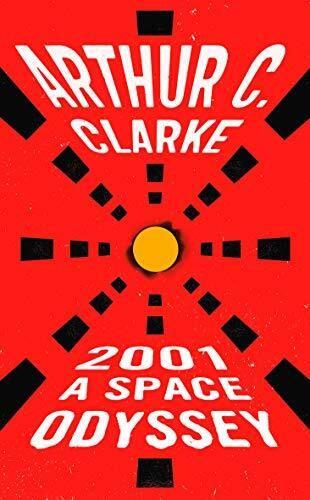 Clarke wrote this novel while Stanley Kubrick created the film, the two collaborating on both projects. The novel is much more detailed and intimate, and definitely easier to comprehend. Even though history has disproved its ""predictions,"" it"s still loaded with exciting and awe-inspiring science fiction. "